Can An Exterior Door Protect Your Home From An Hurricane? If you know the amount of damage a kid’s baseball can do to your home’s unprotected exterior door, and you live in a Hurricane prone area, then you must start acting fast. A whole lot of 155 mph baseballs hurled by the unforgiving storm will surely leave irreparable damages to it. But it isn’t just the exterior door that ought to be considered when preparing for the hurricane-force winds. Surely, you can’t be over-prepared when there’s a mega disaster underway. And that’s why the little attention-to-detail that can make a significant difference and salvage the house. Before you start evacuating, be sure to counter-check and ascertain that indeed the main door will not give way to the ferocious winds. Your first line of resistance ought to be to check the exterior door for any loose hinge screws. It is the most ignored move, yet hurricane-force winds are known to buckle the door if it is loosely held. Basically, replace old or shorter hinge screws with longer and newer ones and include an anchor. Also, add a deadbolt (1-inch long is perfect) to the door to enhance its strength and resistance when shaken by the winds. 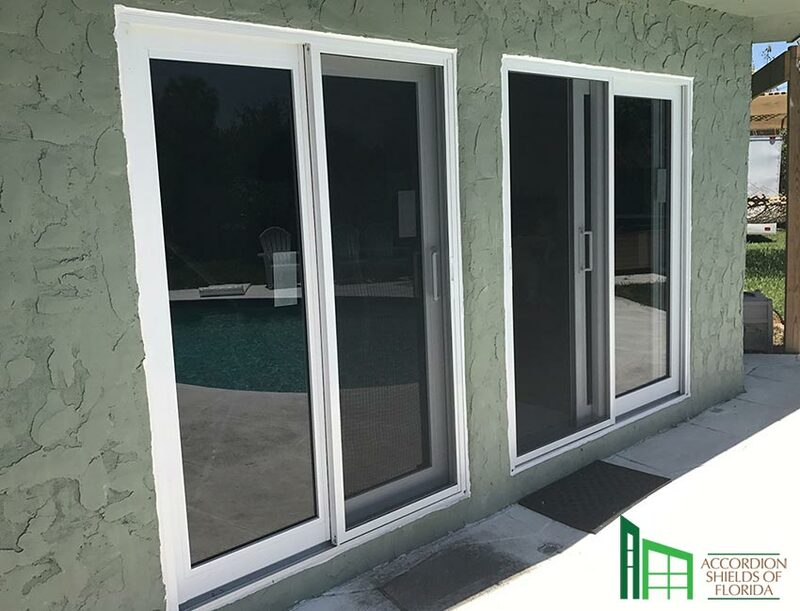 Replacing that patio exterior door with a high-impact glass door will help avert the impending dangers. Hurricane glass doors are super-strong as they’re made of sturdy material that holds the glass slabs together. For the main entrance, consider installing storm doors too. Away from that, don’t forget to shield the exterior door with plywood. Plywood is robust and cost-effective and can be pulled out with ease later when calm returns. Using it as a shield will reinforce the strength of that impact door. Sometimes, home insurers choose to encourage homeowners to protect their properties by offering discounts for specific hurricane-mitigation improvements. Premiums for a house insured for $150,000 in areas where the hurricane is rampant can be as much as $8,000 if there are no hurricane mitigation measures. But upon installing plywood shields and high-impact glass exterior doors and windows, the cost can reduce to as little as $1,000 or less! More importantly, close all interior and exterior doors and windows and evacuate ahead of time. The Insurance Institute for Business & Home Safety says this simple move often helps prevent pressure increase from inside the house. If there’s excess pressure indoors, the roof will finally cave in, and that would mean even more loses! This entry was posted in Impact Windows & Doors Tips and tagged casement impact doors, doors, florida, how works, hurricane doors, impact doors, impact doors miami, impact windows and doors, impact windows center, miami, storm, storms, wind. Bookmark the permalink. 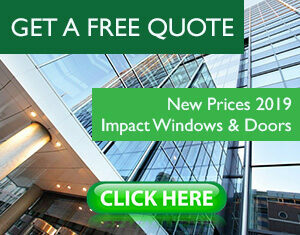 ← How to Choose Your Impact Windows?